The Plantritionist empowers and educates people to easily live a plant based lifestyle. Inspiring people with heavenly recipes, time-saving tips and a healthy way of living. 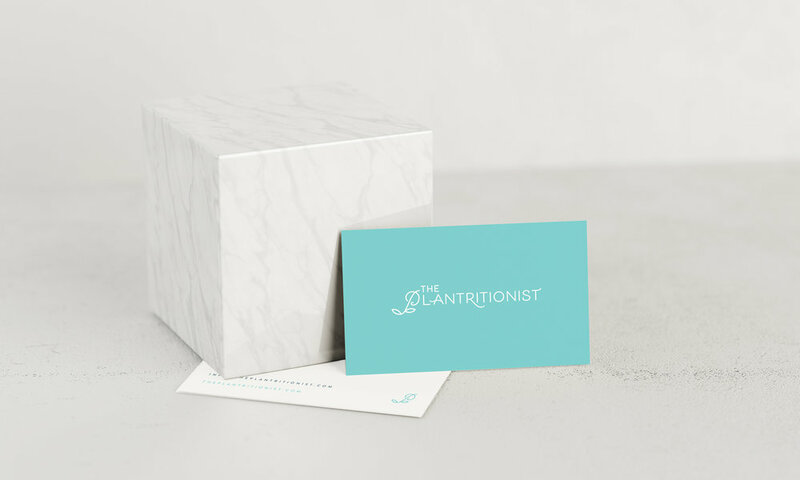 The Plantritionist is the brainchild of foodie Talitha - a passionate blogger committed to showing people how easy it is to live a plant based lifestyle. Talitha visioned the new brand to be fresh, fun and elegant and one that would align with her future goals for the brand growth. The brand was brought to life with the design of a dynamic yet sophisticated logo and a fresh, classy colour palette. The logo symbol "P" acts as a stand-alone, recognisable representation of the brand - designed for social media profile images, stickers, labels and signage. "Tahlia is a gifted, creative, professional and very reliable graphic designer. From day one Tahlia was a dream to work with, I really felt like she listened to my ideas and asked all the right questions to understand my vision. From an artistic standpoint, Tahlia did a wonderful job visually and on the business side of things, She was always very professional, met all deadlines and kept the project within quoted prices. I would definitely work with Tahlia again and recommend her highly."